Several editions of the Air Jordan 2012 have been released in the market and made a lot of noise as expected. This time, Jordan Brand’s signature shoe for this year will be making waves once again in a new edition that is set to be released. 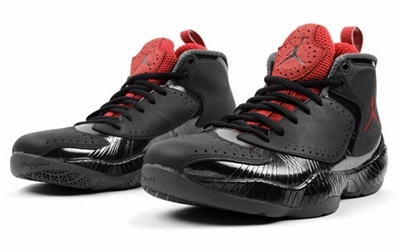 The Air Jordan 2012 will be released in a Chicago-style colorway of Black/Varsity Red-Anthracite. The silhouette is primarily made with black leather with the red accents on the mesh insert and Jumpman logo plus anthracite linings. No official release date announced yet, but expected this one to come out soon. Jordans Out will keep you updated!